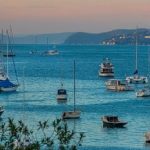 I recently arrived in Sydney and plan to spend time walking on the Earth and along the beaches, interacting with the higher frequencies, and sensing and feeling the land and the people in this area. This is what I do everywhere I go, soaking up the energies of the Soul Consciousness of the land and its people as I travel through different states to speak at Conferences. During my travels I have made interesting discoveries about the current role that Australia is playing in the spiritual evolution of our human collective consciousness. I have also met and engaged with many ancient energies in the land that are facilitating our collective awakening – as well as energy patterns that have been deliberately placed to create health issues, facilitate the collective dumbing-down and keep the real history of this country hidden. So while I am in Sydney, I will be reviewing my findings, doing a bit of higher frequency research, and writing about them for future talks and presentations…and perhaps even a book. I will also be doing some talks, and group meditation processes, and can be contacted for personal consultations. In June and July there are a few spaces for personal and remote sessions, ghostbusting and space clearing either in person or via remote viewing and skype. So if you are interested in having a one-to-one session or card reading, or need a house/land clearing please contact me either by phone or email to make an appointment. 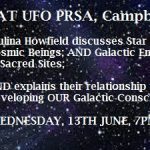 In June I am giving a presentation at the monthly UFO PRSA gathering in Campbelltown. 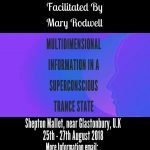 I will discuss my interactions with star people and cosmic beings; explain their relationship to our developing galactic consciousness; and talk about the different places on the planet where you can interact with specific beings. 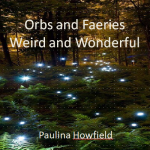 During this past week I did a talk about orbs, faeries and weird and wonderful things that we encounter. 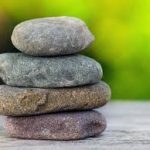 I also did a half hour meditation process, about how to connect with them. Due to a lot of social media interest on my facebook page I will be making an audio/video about that topic soon. People have also asked if I will make a Webinar about these topics, so if you have an interest in these subjects, and would like to participate in a Webinar where you can learn more and also experience a shamanic connection meditation, please let me know at phowfield@hotmail.com and tell me the kinds of things you would like to find out in a Webinar. 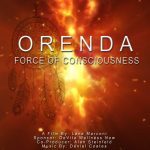 Last year I was interviewed by award winning Documentary maker Lana Marconi about my work and its relationship to ‘Orenda’. Her documentary has just been released on vimeo and you can pay to stream or purchase it. My face is not in the promotion piece for the film, but you can hear my voice in the last three seconds…clearly I have to work on my soundbites! That said, I am grateful that my thoughts and experiences were included in this film and it was an honour to participate alongside so many amazing souls. 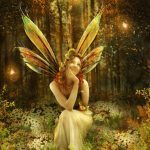 PLUS…If you are interested in having contact with these faeries, and perhaps having the be-jesus scared out of you, check out this accommodation link run by Pat Boone – the man interviewed in the video. How well do the two sides of your brain communicate? 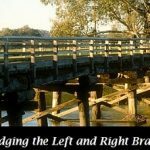 Do you spend lots of time thinking, being logical and examining details to make sense of the world (left brain)? Or perhaps you are led by your feelings and intuition, and like symbols and metaphors (right brain). If you are interested in other talks I have done, or want to listen to some of my interviews go to my Conferences and Media pages on my website. You can join Paulina on facebook to see regular updates about Conferences and other things that she posts, and she looks forward to your company. 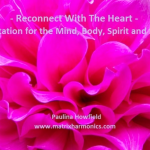 You can join her at paulinahowfield, personal and planetaryhealing or theearthwhisperer. You can also connect with her on linked-in. You can click on these links to find out more about her book, soul whispers cards, healing room CD and artwork.